This site offer all model ac adapter for laptop, computer, LCD LED monitor, Monitoring equipment, server and so. If you can't find any ac adapter in our site, please contact us, our market team may help you find it from the factory or warehouse. 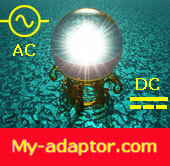 Why order ac adapter from us? Free shipping worldwide more than 200 countries. 1 - 40 of 76160 items for New Laptop AC Adapter. 19.5V 3.33A AC adapter for HP 574487-001. 14V 1.79A AC adapter for SAMSUNG S24D590L. 14V 2.5A AC adapter for SAMSUNG LS27D360HS/XF LED MONITOR. 14V 2.86A AC adapter for SAMSUNG S24C770T. 14V 3.5A AC adapter for SAMSUNG S27C350. 19V 2.1A AC adapter for SAMSUNG NP900X4C-A01AU. 19V 3.16A AC adapter for SAMSUNG NT450R5E-K3CR. 12V 3A AC adapter for SONY EVI D100. 16V 3.75A AC adapter for SONY HFS220. 18V 2.6A AC adapter for SONY SRS D8 SPEAKER SYSTEM. 19.5V 3.3A AC adapter for SONY PCG-71614M. 19.5V 3.3A AC adapter for SONY PCG-61315L. 19.5V 3.9A AC adapter for SONY SVE151G13W. 19.5V 4.36A AC adapter for SONY KDL-48W700C. 19.5V 5.2A AC adapter for SONY KLD-43W807C. 15V 10A AC adapter for TOSHIBA PQF32E-00F00VPL. 15V 5A AC adapter for TOSHIBA PPM70E. 19V 3.42A AC adapter for TOSHIBA SATELLITE L550. 19V 6.32A AC adapter for TOSHIBA SATELLITE S55T. 12V 20A AC adapter for EIO E109239. 17.4V 3.3A AC adapter for DJI A14-057N1A. 13.20V 3.79A AC adapter for DJI P1C50. 13.05V 78A AC adapter for DJI C3S80. 13.05V 3.83A AC adapter for DJI MAVIC PRO PLATINUM. 13.05V 3.83A AC adapter for DJI F1C50. 24V 7.5A AC adapter for SAMSUNG C34J791. 24V 7.5A AC adapter for SAMSUNG BN44-00924A. 19V 7.1A AC adapter for ACER NITRO 5 AN515-51. 19V 2.63A AC adapter for HP PAVILION 2511X MONITOR. 19.5V 9.23A AC adapter for MSI GS75 STEALTH 204. 19.5V 9.23A AC adapter for CLEVO P960ED. 19V 3.42A AC adapter for ACER MS2288. 19V 2.37A AC adapter for ACER ES1-533. 19V 3.42A AC adapter for ACER P4VC0. 19.5V 2.31A AC adapter for DELL XPS 13 XPS9350-1340SLV. 19.5V 2.31A AC adapter for DELL XPS9350. 19.5V 4.62A AC adapter for DELL LATITUDE 7414. 48V 1.75A AC adapter for HP 2915-8G-POE SWITCH. 19V 1.3A AC adapter for LG 24MP57HQ-P.